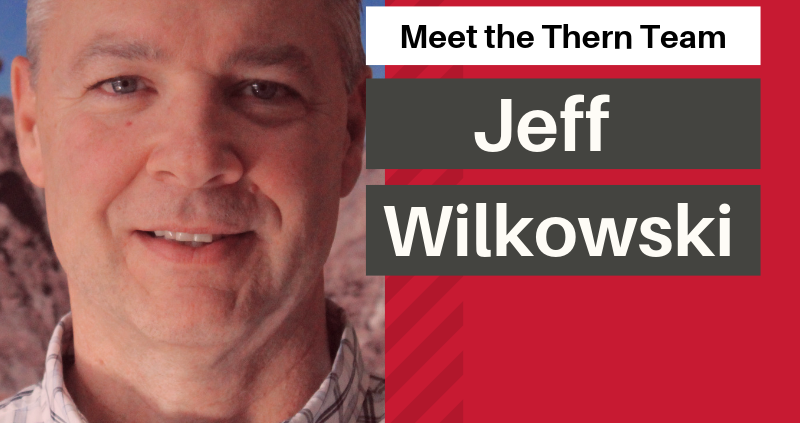 Take a moment to meet Jeff Wilkowski, VP of Engineering. Jeff describes Thern as a positive, open, and nurturing environment, one with no barriers between departments. He believes this allows individuals to be involved in projects beyond their own job function. Everyone utilizes their skills to help out and support others within other functions of the organization. When Jeff isn’t busy thinking up the newest, greatest winch and crane designs he enjoys getting back to his roots by relaxing with his wife in the greater outdoors while camping and fishing. Jeff also enjoys occasional hiking and hunting trips in the backwoods. Thank you, Jeff, for your time, talent and commitment to Thern through the years. We are lucky to have you as a leader of our team!